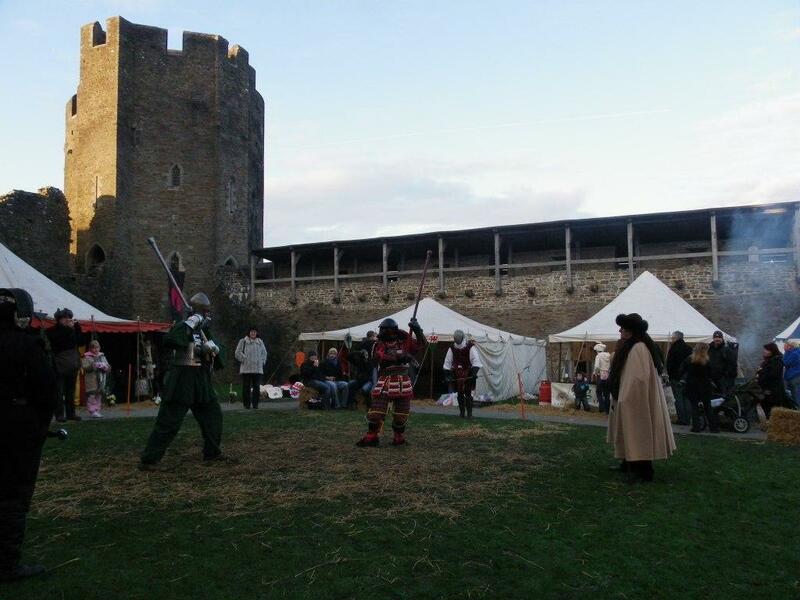 Why not join Caerphilly Castle's jester who'll have many a joke and merry tale. He'll cheer you up while the children can practice their sword fighting skills with Sir Andrew, the Cadw Knight, in his 'knight school'. Don't miss out either on the live performers, including music and dancing as The Hautbois wheel their cart around and the Mirage Mummers act out their unique plays throughout the weekend. The early bird catches the worm! On Saturday and Sunday morning join Lord Gilbert De Clare, his knights and his folk, as they take to the streets of Caerphilly before making their way in a parade towards the castle. Within the castle walls, make way for knights battling for the favour of fair ladies with musicians, jesters, mummers and craftsmen all around.